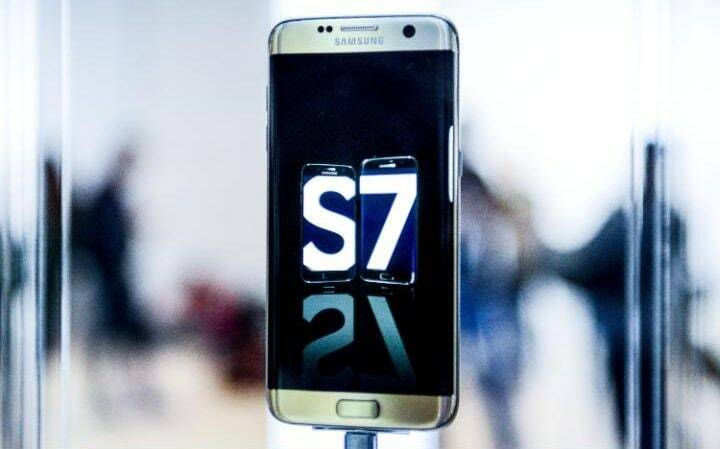 Samsung, to nobody’s great surprise, has unveiled its latest premium flagship smartphones the Galaxy S7 and Galaxy S7 Edge during Mobile World Congress (MWC) in Barcelona. While the big reveal may have been MWC’s worst kept secret thanks to a series of extremely revealing leaks and the broadcast of an advert featuring the new handset a full nine days before the presentation, it’s still the most significant smartphone launch of the congress from the world’s largest mobile phone manufacturer. Samsung fans will be quick to notice that the S7 generation hasn’t changed much in terms of design from the S6 – in fact, it looks almost exactly the same. The company has wisely chosen to stick to the glass panel and metal framework it introduced with the S6 and S6 Edge during MWC last year, rather than risk a return to the cheap-feeling plastic back of the S5, and the result is premium, beautiful handsets. One key aesthetic feature is that the back of the standard S7 is now gently curved in an echo of how the Edge handsets are on the front, meaning it feels less blocky in your hand and more ergonomically-pleasing. The displays – 5.1-inches for the S7 and 5.5-inches for the S7 Edge – are flawless, offering excellent true-to-life colour reproduction without over-saturation. Unfortunately the glass backs are still an utter fingerprint magnet, and you’ll find yourself constantly wiping the rear down in an attempt to get rid of the smudges. 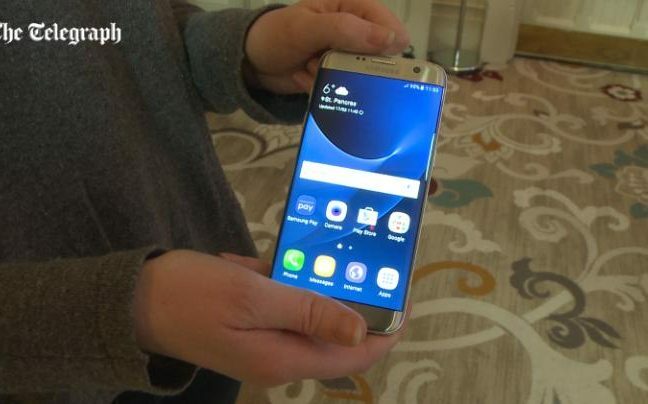 What’s changed from the S6? 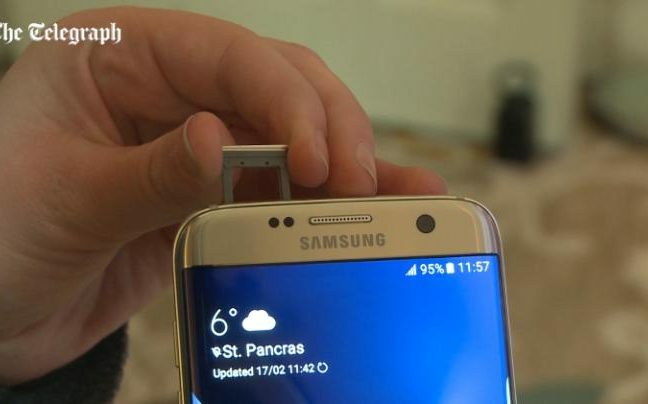 It’s interesting to note that Samsung appears to have taken feedback onboard given the backlash over the removal of the microSD card slot in the S6 cycle. Along with doing away with the removable battery, Samsung sacrificed two of the key features Android lovers care about the most, and inched ever closer to becoming a distinctly non-customisable iPhone. The S7 also sees the return of the microSD slot, this time embedded into the SIM card tray on the top of the device – a detail iPhone die-hards are unlikely to care about, but a change which was unacceptable to the Android faithful. In another blast from the past, the S7 is water resistant, which the S6 was not. I tested this by dropping the handset into a huge jug of water, which it emerged unscathed from. One not terribly glamorous but actually incredibly important modifications is to a 3000mAh battery – a significant jump from the 2,500mAh of old. Samsung has been plagued with battery issues in the past, but the combination of Google’s energy-efficient Marshmallow operating system and the most powerful battery the company has managed to squeeze into the Galaxy range could spell an end to our woes. The rear-facing camera has also been given a makeover, from 16MP to 12MP. Whilst this may appear to be a downgrade, it’s worth noting that Apple dedicate a sizable chunk of their iPhone presentations attempting to overturn the theory that more megapixels automatically means a camera is more capable. What the S7 lacks in MP it makes up for in pixel size, which have been enlarged by 56 per cent to allow 25 per cent more light to improve the result of taking pictures in low-light environments. It would be easy to dismiss the Galaxy S7 as a lazy dupe of the S6: same aesthetics with some changes under the hood, which was one of the major accusations leveled at the iPhone 6s’ progression or lack thereof from the iPhone 6. But that would be disingenuous, because Samsung have made a concerted effort to correct their past mistakes, and that can’t be applauded enough. The Galaxy S6 Edge was my favourite Android handset of 2015, and I strongly suspect the S7 Edge will top my list of 2016, full review pending. It’s hardy, it’s beautiful and it’s fast and functional. What more could you ask for?